The Master of Arts is a postgraduate degree which is associated with various subjects other than the subject of sciences. Subjects such as linguistics, history, geography, political science, social sciences, humanities, literature, music and so on are the various subcategories in Master of Arts. Pursuing M.A. facilitates better decision making and communication skills in a student. It is beneficial from job prospects too. There are various universities all over the world which provides Master of Arts as their major degree. The degree of MA is much better in comparison to the Master of Science degree that is MSc. The degree of MSc is restricted only to engineering, medical or other science streams but a degree in MA is more flexible in that sense because it is not restricted only to a certain number of subjects. Rather it includes all the approach of every field of work out there. Schools, colleges, publishing houses, consultancies, banks, law firms, etc. These are the subjects usually chosen by the students because these disciplines offer an array of aspects to be explored. The students usually select these subjects by their interests as well as the subject's scope in the future. Each subject represents different fields of exploration; if a student chooses to delve deeper into the subject, they can opt to pursue a Ph.D. or M.Phil. In a particular subject to attaining expertise in it. Master of Arts is a flexible degree for all the students who want to make their career in art, history, teaching, etc. The minimum eligibility required for students to pursue a Master in Arts is to possess a Bachelor's degree either in English or any other relevant subject from an accredited and recognized university. They must have an aggregate of at least 60%. However, students are requested to check through the official website of the college they intend to apply for. Apart from a bachelor’s degree, students have to qualify the English Proficiency Test to apply for universities abroad. TOEFL, IELTS, PTE or IB are the tests to determine fluency in the English language. When a student wants to study abroad, they are expected to be fluent in the universal language, that is, English. The students should have a previous experience in the discipline they have majored in, in the form of major projects, workshops or training. Apart from it, letters of recommendation and statement of purpose also are mandatory for applying for a masters degree. All the above universities are great to pursue a degree of M.A. The University of Oxford and Cambridge are among the top universities established in the UK. These are one of the oldest universities in the world. They are rich in their heritage and provide quality education. The universities in the USA are probably the most favorite destination to all those who want their academic experience to be intellectual as well as technical. The universities there are one of the best in terms of advancement and innovation. Stanford University and MIT are the most chosen universities when it comes to studying in the USA. The universities in Canada and Singapore are also the regions where students go to study MA. The art and humanities taught there to make the most efficient universities across the world. The students who want to pursue their masters in one of the best universities should take a look over the universities listed above. The universities in Canada and Singapore are cheaper in comparison to the universities in the USA and UK. They might be the best when it comes to their academic curriculum and teaching, but it will cost a fortune to reside and study there. The fees for the degree of Master of Arts is approximately 20 Lakhs INR to 60 Lakhs INR which includes hostel and accommodation expenses, food expenses, Tuition and Fees, Professional Supplemental Tuition, Non-resident Tuition, Campus-based Fees, Student Services Fee, etc. The majority of students opt to do internships or minor jobs along with their studies to keep going and manage their expenses. The international students make a major portion of the college population because of the lack of attractive study programs along with more secure job prospects. Many Indian students move to other countries like UK, USA, Canada, Australia to pursue higher education and end up staying there after completing the studies because the job opportunities for such degrees are not so well justified in our country. So it becomes necessary to give their full dedication to the degree and get a well-defined job in the same country too. Shortlist the options available to you. The students should first of all do some research on which university to choose and how much will it cost. Check if you are eligible for applying or not. Do thorough research while selecting the college and try to work on your communication skills in the meantime. Prepare for TOEFL, PTE or IELTS, whichever is a requirement in the university selected. These proficiency tests are mandatory and cannot be overlooked at the time of application. Generate the proficiency test mark sheet after passing the exam. Prepare an updated resume that will be used while applying. The students need to acquire a letter of recommendation from the institution where they have completed their graduation degree. Apply online for the universities where you want to go and upload all the necessary documents asked for. Write a statement of purpose (SOP) stating the reasons for application and the purpose of joining the course. Go through all the procedures to complete the application process. Send the copy of applications along with the documents to complete the process. 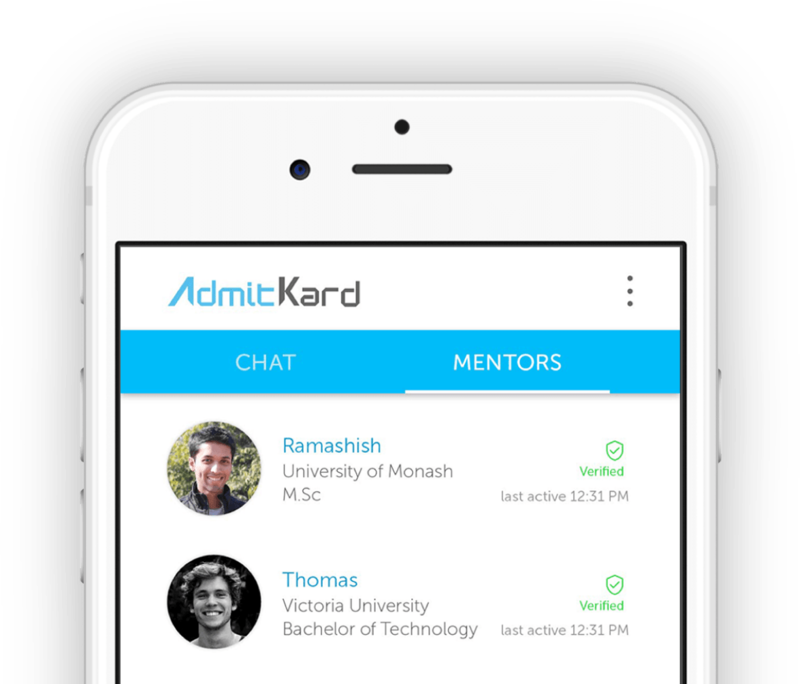 A proper way of applications can enhance more chance of getting admission in the colleges. The students should be very careful while applying for masters, the proficiency in English and proper knowledge of the subject can make it easier to get admission in such universities. It should be understood that applying to foreign universities is the best way of molding one's career in a better way, so it is necessary to make the best out of the opportunity presented. The students from foreign universities are more intelligent, more creative, more sophisticated, and most likely to get better jobs in their future. By acquiring a Master's degree in Arts, students can always apply for jobs at higher positions with subjects like English, Psychology, Economics, Sociology, Archaeology, Education, History and Public Relations. They can also opt to teach by applying at various schools and colleges or any other sort of educational institutions. Students also have a great scope at the Ministry of Foreign Affairs to be employed as a foreign exchange officer. Those who have pursued their Master's in Foreign Languages or English will be demanded greatly at embassies across the world. Management consultancies are another big opportunity. Freelancers and writers also have a great path to embark on and make a better career. Students can always get placed in the best sectors of the economy. This shows how a postgraduate degree can prepare a student to be multitasking. This enhances the thinking ability of the students. To make best out of the opportunity the students should opt for the best colleges so that they can have a safe, secure and respectful future.